SAS was the first airline to fly over the North Pole to the US West Coast in 1954. Ten years later, SAS also began flying to the U.S. Midwest and is now celebrating 50 years of service between Copenhagen and Chicago. In 2014, SAS is continuing to increase its traffic, adding five weekly departures and a new route to the USA. In doing so, SAS is cementing its position as Scandinavia’s biggest airline for travel to the United States. On April 2, 1964, SAS launched the route to Chicago with the maiden flight from Copenhagen. Captain Jens Mueller flew passengers and crew in a DC-8-33 to Chicago via Montreal, sowing the seeds for a successful route, which has since been operated by aircraft including the DC-10, Boeing 767 and Airbus 330/340. More than 3 million people have flown this route with SAS, and today the airline flies directly from Copenhagen and Stockholm to Chicago. “SAS is seeing a steady growth in demand for travel to the USA – and the reverse route from the US to Scandinavia, not least from Chicago, is also proving a success. That’s no real surprise either, as SAS is the airline with the most destinations and flights to the U.S. from Scandinavia. Now we are adding even more departures, to the delight of customers throughout Scandinavia, who use SAS and our services to make traveling easy and comfortable,” said executive vice president of sales and marketing, Eivind Roald. SAS offers a direct route between Copenhagen and Chicago with one flight a day every day of the week. This will now also apply to the route to San Francisco, which is getting an extra departure on Tuesday, making it a daily service as of June 10. “It is exactly one year since we launched the San Francisco route, and we have never before seen a route be so successful right from the off. We now have the opportunity to use our aircraft to add another departure, which we are sure will please our customers,” said Roald. SAS currently flies from Stockholm to Chicago every day in the summer and five times a week in winter. SAS is adding another winter departure to Chicago from Stockholm, which will also be getting an extra flight to New York. 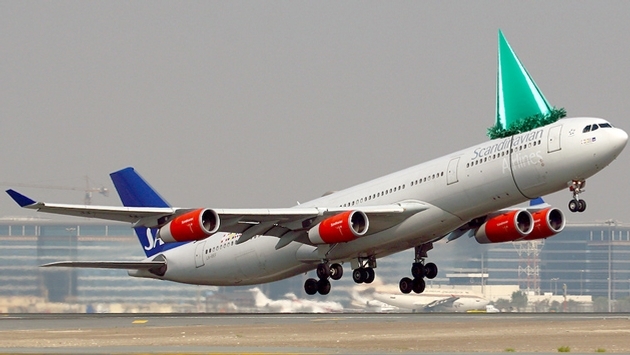 SAS is also adding two more departures a week on the Oslo-New York route in winter. Oslo-New York operates daily in the summer. SAS has also just announced the opening of a new route between Stavanger and Houston. To mark 50 years of flying from Chicago to Copenhagen, SAS will mark the occasion with an event at the gate at O’Hare on April 3, 2014. 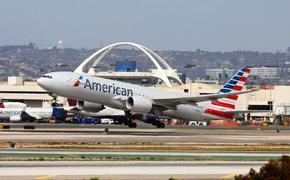 People traveling on the flight are encouraged to be at the gate early to enjoy refreshments.